FRANK O'Driscoll's prestigious legal career started on the back of a bicycle, when he made deliveries as a 14-year-old office boy for Rockhampton firm Rees R and Sydney Jones. World War II was raging in February 1941 and the young Francis Patrick O'Driscoll caught the attention of the firm's senior partner Ewan Palmer. With the other partners and male staff of the firm serving their country, Frank stepped up and started studying typing at night school to assist around the office. This was just one example of the dedication which had so impressed Mr Palmer and would see the young man from Ogmore given the opportunities needed to climb the legal ranks to become a senior partner and respected member of the Queensland Law Society. Frank died on September 14, aged 90. Frank was the sixth son of Daniel and Catherine O'Driscoll, born at The Club Hotel in Ogmore north of Rockhampton on March 9, 1928. After his first year of school in Ogmore, Frank went to St Joseph's Wandal until Grade 7. Just five weeks after starting at CBC Boys College (now The Cathedral College), Frank got the job with Rees R and Sydney Jones as their office boy. Too young to enlist (the war ended two months before his 18th birthday), Frank instead joined the Air Training Corps and became a Flight Sergeant in charge of cadets. Mr Palmer had seen Frank's potential before this and in 1945 advised him to apply to the Solicitor's Board of Queensland for an exemption from their entrance exam. If successful, Mr Palmer would grant Frank Articles of Clerkship and allow his eventual qualification as a solicitor. Studying after work was proving challenging, so Mr Palmer paid for Frank to study as a boarder at Nudgee College in Brisbane in 1946. Although Frank worked studiously to prove Mr Palmer's dedication in him and achieved good marks in seven subjects, he didn't meet the marks needed for arithmetic. Despite being among his grade's best performers and winning the school's oratory award, Frank had to return to night study. After six months he re-sat his junior exams and passed all eight subjects. Mr Palmer was true to his word and Frank entered his Articles of Clerkship, qualifying and being admitted as a solicitor of The Supreme Court of Queensland in September 1955. This career milestone paled into insignificance though by Frank's marriage three days prior to the woman described as the love of his life, Joyce Muriel Kerr. Frank became a partner at Rees R and Sydney Jones and in 1957. When the Central Queensland Law Society was formed in the same year, Frank was the foundation secretary and treasurer. He continued to serve on the committee for some years, including in the roles of president and vice president. In 1975, Frank was the first Central Queensland solicitor elected as a member of the Council of The Queensland Law Society and served there for seven years. He was then appointed as one of the seven-member council of the Statutory Committee, the disciplinary body of the Queensland Law Society, where he would serve for 13 years. After two decades of service to the society, Frank was appointed as one of the selection team for The Churchill Foundation. Although Frank retired in 1995, he spent another year acting as a consultant. 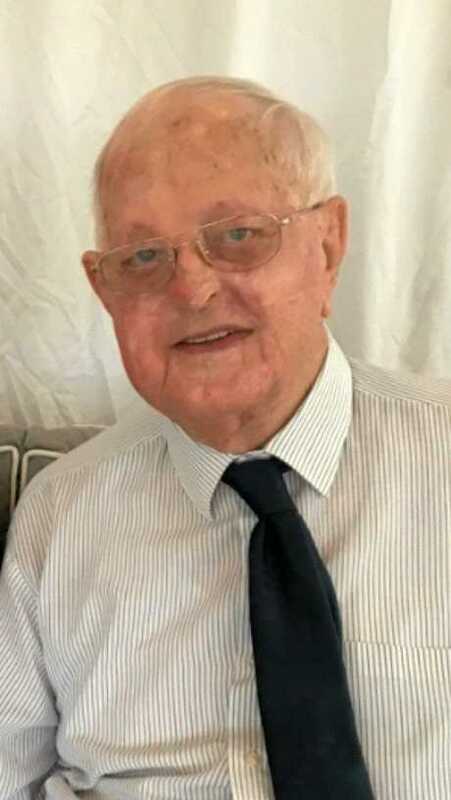 He then served as a board member of the Rockhampton Catholic Diocese Development Board and other church committees for another three years until failing eyesight forced his retirement from all committees. Frank was also well known among the community for acting as honorary solicitor to many charitable and sporting groups. His family remembers him as a solicitor who "was not one to pontificate over legal fine print, but always aimed to solve his client's problems with common sense and minimal expense'. Frank's passion for the legal sector inspired his son Geoff and grandchildren Connor and Adele to follow in his footsteps. 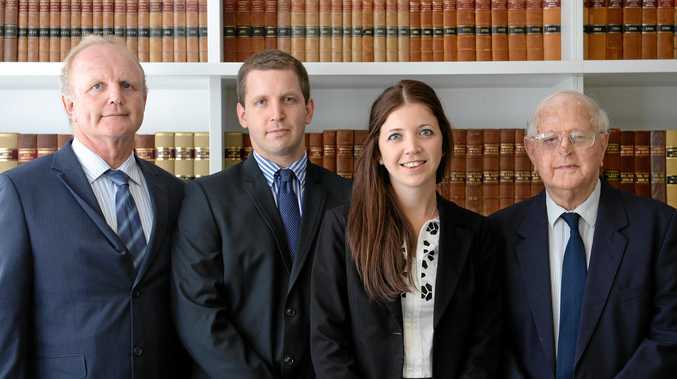 Geoff worked with Frank at Rees R and Sydney Jones for 21 years and was partner with him for 13 years, while Connor is an Associate with Maurice Blackburn Rockhampton and Adele is legal counsel for a London investment company. Frank was immensely proud of the achievements of all of his six children and his many grandchildren and great grandchildren.